Ahead of the Salon International de la Haute Horlogerie (SIHH), which runs January 14-17 at Geneva's Palexpo exhibition center, the Swiss watchmaker Jaeger-LeCoultre unveiled a new version of its iconic "Rendez-Vous Moon" watch. While the model maintains the signatures that have sealed the success of the collection since its launch, the moon phase has been given a makeover, revealing a more feminine than ever style. The "Rendez-Vous Moon" wristwatch gets a new moon phase for 2019, celebrating the expertise of the watchmaker's Rare Handcrafts department. In a disc at six o' clock, the polished moon cycles through its phases against a lacquered blue starry sky. This contrasts with a sea of clouds for an elegant and feminine effect. With a 34mm stainless steel or rose gold case, the "Rendez-Vous Moon" also features a silvered guilloché dial, bringing a textured effect to the watch. In a refined style, the model features a bezel set with 60 brilliant-cut diamonds, echoing the 47 other, smaller diamonds on the watch's inner dial. 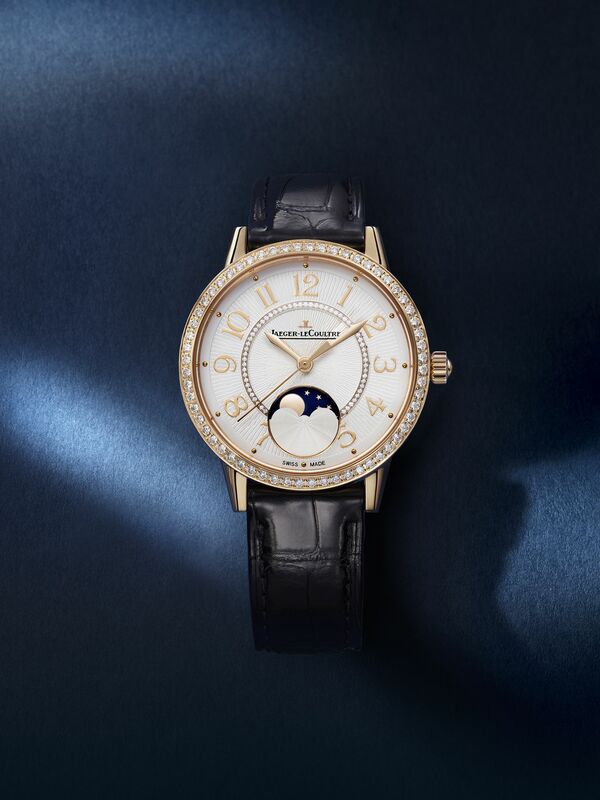 The "Rendez-Vous Moon" uses the Jaeger-LeCoultre 925A caliber, an automatic movement with hours, minutes, seconds and moon phase functions, and with a power reserve of up to 40 hours. The "Rendez-Vous Moon" watch features interchangeable straps to suit all tastes and looks.